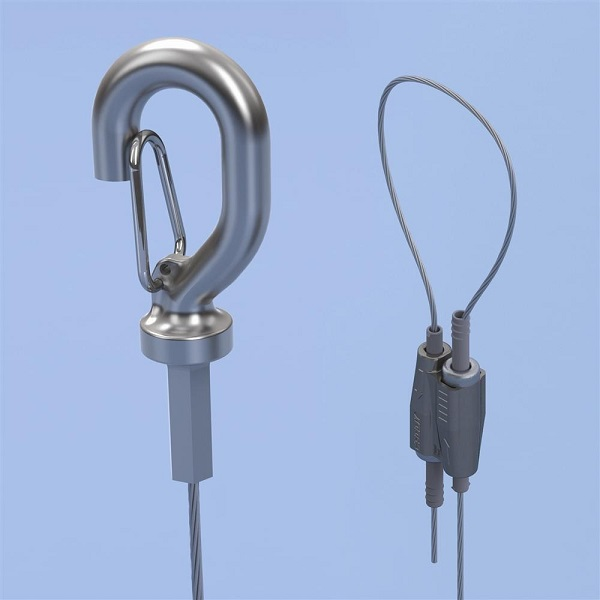 Hook with Wire Lock includes wire, locking device and pre-assembled hook end fitting. This can be used to hook onto fixings. The spring latch hook provides a secure connection but allows for applications to be easily removed for maintenance. Available in 1m, wire lengths. Available in 1m wire lengths.